Versatile Chairs to Suit Any Need - Bevco offers 18 different chair and stool models for office, retail, laboratory, medical, industrial, education, government and military environments. Seating for Critical & Controlled Environments - Bevco manufactures numerous chair and stool models compliant to ESD, cleanroom, and ESD/cleanroom requirements. Comfortable/Long-Lasting Upholstery Options - Bevco upholstered chairs and stools are available in 8 durable fabric and vinyl options along with 6 ESD-compliant upholstery options. Puncture & Stain-Resistant Seating - Bevco polyurethane chairs and stools are resistant to stains, punctures, grease, water, and most chemicals, making them a great choice for the toughest workplace environments. High-Quality Standards Compliance - Bevco products comply with ANSI/BIFMA & CAL 117 standards, have a 300-lb. weight capacity, and deliver safe and sustainable, high-performance, seating solutions. GREENGUARD GOLD Certification - Bevco chairs and stools have been GREENGUARD GOLD Certified to address the human health component of sustainability and contribute less indoor air pollution, while aiding in the creation of healthier indoor environments. Unbeatable Warranty - Bevco chairs and stools have a 12-year warranty on most models (5-year warranty on Lexington and Breva models) and an unmatched lifetime warranty on our pneumatic-lift cylinders. 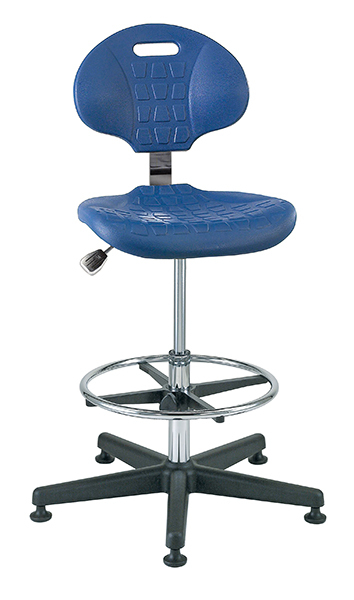 American-Made - Bevco assembles all of our chairs and stools in the USA with the highest level of care and accuracy. Customized Seating Solutions - Bevco chairs and stools are made-to-order to your exact specifications providing a customized solution for your seating needs. Low-Cost/Superior Customer Service - Bevco delivers the lowest total cost of ownership on our chairs and stools by simplifying the product selection process, providing quality products at competitive prices, and extending superior post-sale support. QSource.com offers more than 1,100 top-quality Bevco Ergonomic Seating products, including chairs, stools, and accessories. 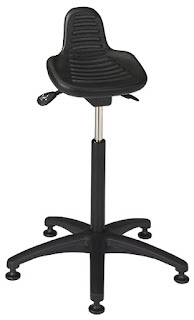 For purchases and more information, please visit our Bevco Ergonomic Seating Department. You may also contact us by phone (800-966-6020), email, or via our Web site.